AromaTouch Technique uses the application of essential oils along energy meridians on the back and reflexology points of the feet and hands. 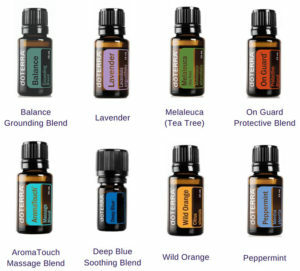 The dōTERRA AromaTouch Technique is a clinical approach to applying essential oils along energy meridians and visceral contact points of the back and feet to help balance sympathetic and parasympathetic nervous systems of the body. It also aids in emotional healing. Developed by Dr. David Hill, a leading expert in integrative medicine and therapeutic applications of essential oils, the AromaTouch Technique improves well-being by reducing physical and emotional stressors and by supporting healthy autonomic function. The technique is simple and intuitive and uses dōTERRA CPTG Certified Pure Therapeutic Grade® essential oils for an unparalleled grounding experience. Victoria says “I love giving this treatment and sharing these divine essential oils. The word dōTERRA translates to “Gift of the Earth” and this is how I experience these oils as they bring peace and tranquility through their use”. After receiving Vikki’s treatment I felt whole and comforted. This is something I had not felt in a long time. Also during the treatment, though relaxed, I felt stimulated to exercise that evening. Vikki said that was probably due to the effect of the peppermint oil, one of eight used in her treatment.” Juliet R.M. Unexpectedly different. I’m used to “traditional” massage and this was very, very soothing. Just as relaxing but in a powerfully subtle way. I had the best night sleep after a run of disturbed sleep, best in years probably! Kind of went out with a bang with the last combination oils of peppermint and orange; I left in an uplifted state of euphoria.” Suzanne P.
If you love the oils used in this treatment they can be bought as a set or your favourites as single bottles. A beautiful combination which is like a scientific equation that equals a good kind of bliss!